This entry was posted on Thursday, May 25th, 2017 at 7:17 pm. 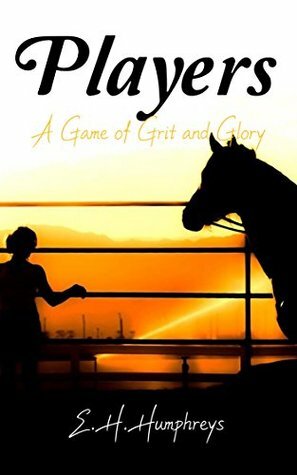 If you follow the equestrian book reviews I write for Horse & Style Magazine, then you’ll know that I recently featured Players: A Game of Grit and Glory, by new author EH Humphreys. To read that review, please click here. But today, I’d like to welcome her to the Maryland Equestrian blog for an “Author Interview! I started riding when I was 8 years old after years of badgering my non-horsey parents for riding lessons. I grew up in New York City, so my parents thought that learning to ride would be a nice country activity for me. They did not anticipate the degree to which horses would take over my life! I did not compete when I was young and just learned how to ride and love horses, dabbling in a bit of western and barrel racing in addition to the hunt-seat equitation that most children on the East Coast learned. When I was a teenager, I took up show jumping seriously, up until I had a bad accident. Anyone who has read Players can probably guess the color and type of jump I had my accident over. It was after that when I lost my nerve for jumping, and I turned to polo. I had taken some polo lessons at Eldorado Polo Club with Kirsten and Rege Ludwig when I was younger, so when I moved to Scotland to attend the University of St. Andrews, I joined their polo team. I also joined the St. Andrews equestrian team, but I couldn’t bring myself to jump anything over a meter. 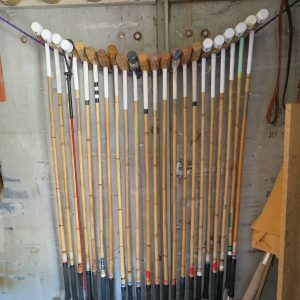 I have played polo ever since, and my most formative years were at Druids Lodge Polo Club, the owners and staff of which have become like family. I had several horses at Druids before I had to move back to America for visa reasons, and I was fortunate enough to be able to bring two of my horses with me after a year of being here. 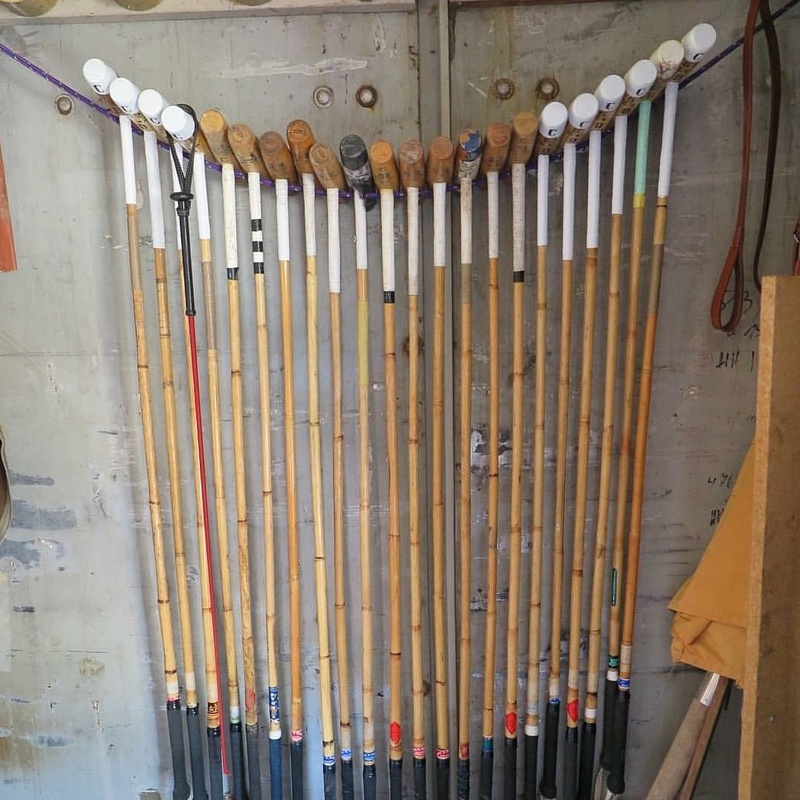 Now I coach at California Polo Club in Los Angeles and play at Empire Polo Club and Santa Barbara Polo and Racquet Club, so who knows what will happen next! Even when I was a little kid I would write stories, sometimes short stories and sometimes long rambling epics. I should revisit some of the things I wrote back then and see if there is anything worth incorporating into something new. I started writing Players for fun, and it was only after the story started taking shape that I decided to pursue it seriously. It wasn’t until I held the paperback copy in my hands that I felt like a writer! Are the main characters in Players based on real people, or are they completely fictional? Some of the characters are based on real people, or have elements of real people weaved into their stories and character traits. Donald is the only character that is truly based on just one person. Scott Taylor is a mix of couple of friends of mine with one standing out the most, (he was appalled when he heard that he wasn’t the only influence for Scott! ), and each of the characters has bits and pieces of real people and pure fiction. I think even if one is writing science fiction there are elements of reality in it; writers and storytellers are influenced by what happens to us in our lives even if we think it is just our own creative genius. I’ve often been asked “which one is you?” and there is a bit of me in Vic and in Debbie, though the reality is I wish I was able to compete at the level that they do in their respective sports! Do you have a favorite character from Players? I think Donald is mine! Donald is everyone’s favorite, including mine! The reason for that is that the real person he is based on is the most genuinely lovely person I’ve ever met, and I am honored to be able to call him a friend. Anyone who has played polo in England can probably guess who the Real Donald Davies (RDD) is. Many of the Donald quotes that have become fan favorites are direct from the horse’s mouth! The situations he arrives in are fictional, but the essence of Donald that everyone loves is real. I can’t really take credit for creating Donald; I just took one of my best friends and put him into a fictional world. Fortunately, the RDD was a really good sport about it, and even wants Donald to have his own spin off. I bought him a bottle of tequila as a thank you. What’s next for the team? I can’t wait to see what happens between Vic, Scott, and (hopefully) Donald! It sounds like you should be writing fan fiction! I don’t want to give anything away, but big things are coming for Debbie in this next book, and Donald will have time in the spotlight. We’re also going to see a bit of university and arena polo through Donald. There will be a love triangle, but it might not be between the characters you are expecting. The team is going to go back to Argentina as well, and of course, take another crack at the English High Goal season. As you know, Vic will be starting the sequel injured, so that will play a part in her story. The vast majority of Players was written at home with a bottle of wine on a night in, often after playing polo during the day. I write with a plan in mind, but as I’m writing, I let the story and the characters take me where they want to go. It’s important not to dwell on making each sentence perfect when you are doing your first draft; a lot of what I wrote early on got completely rewritten when I looked back on it a year later! Some writers may work differently, but I wanted to finish the story before going back and editing and rewriting. I truly believe that finishing a novel takes more discipline than it takes inspiration. Writers are often depicted in an ideal writing setting, away from distractions, with writing being their only job or commitment. That is rarely the case, and I think a lot of people who wish they could write a novel or finish their memoirs or pull together their manuscript use the excuse that they just don’t have the time. Unless you have a book deal or are fortunate enough to have the resources and time to devote yourself purely to writing, then this is never going to be the case. Players was written while I was getting a law degree, in bits and pieces when I found the time. That is something that I have to remind myself of now as I am struggling to find time to write the sequel. Anyone can write; you don’t need a degree in English or Creative Writing, and you don’t need a cottage in France to store yourself away in while you pour your words into your typewriter, and you certainly don’t need a book deal to write a book. I would encourage anyone who wants to be an author to write as much as possible, whether it be short stories or magazine columns, and to realize that finishing a manuscript takes a lot of work. Someone who wants to write should also read books in the genre that they want to write in and soak in the imagery and language patterns. Books get written one page at a time, and it’s easier to edit a bad draft than a blank page! Polo! I have great respect for most riding disciplines, and I think that equestrians of all types should do more to support one another rather than view others as inferior. For me, polo is exciting in a way that most others aren’t, however, because of the team element. Polo horses are also incredible animals, and when you are in sync with one, it is an unbelievable feeling – like the horse’s legs are your own. I’ve always been a huge fan of Thoroughbreds. They have such athleticism and heart that they excel at any sport, and when you treat them right, they will do anything for you. I’ve jumped Warmbloods and I’ve owned Argentine polo ponies, and of course they are wonderful, but my current polo ponies are ex-racehorses. Seabiscuit is a movie that I can watch over and over again. The way that they adapted Laura Hillenbrand’s book was exquisite, and the true story of this misfit group trying to make a rejected horse a champion is incredibly inspirational. I also think they really portrayed the time period well and showcased how much this little horse meant to the American people during the Great Depression. I watch it pretty much every year! A Dogs Purpose by W. Bruce Cameron. I’m in tears in every chapter! Whenever I finish reading a particularly heart-wrenching or sentimental bit, I have to stop and hug my dog for a few minutes! I have Synesthesia, so I see every letter, word, and number in colors and the calendar loops around me in a year and the week is an oval with the weekend stretched out, and the beginning of time and the future actually loop around to be in a similar infinite space. I’ve been told this is unusual. Pick up a copy of Players: A Game of Grit and Glory on Amazon, and stay tuned for the sequel coming later this year!